Have you ever wondered why the recently opened Arts Bar and Grill in Bowness-on-Windermere was previously a restaurant with the name The Spinnery? It turns out there’s an interesting piece of local history behind the name. 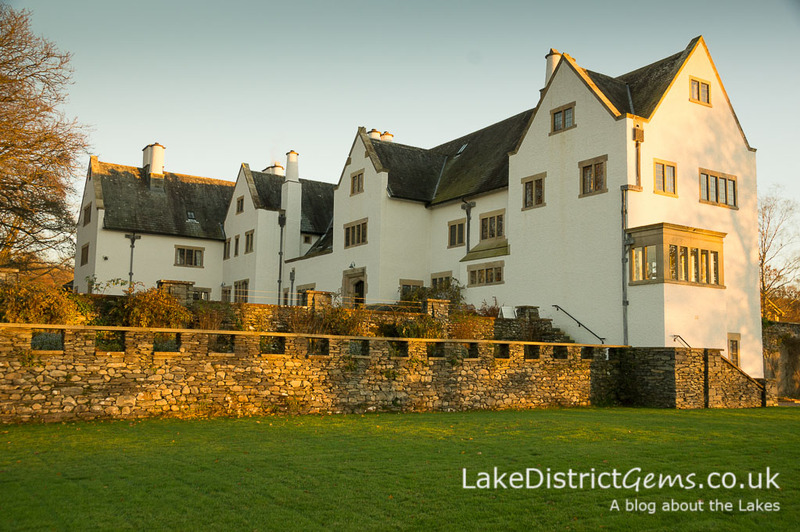 Blackwell, The Arts and Crafts House, just outside Bowness-on-Windermere, is currently running an exhibition about historic figure and talented local businesswoman Annie Garnett, and recently invited me along to find out more. I started off by writing a post about the house itself a couple of weeks ago, so if you didn’t get chance to take a look, or you are new to the blog (welcome! ), you may like to read about Blackwell first. A large part of Blackwell’s charm is that it was built during the Arts and Crafts movement, a style that is preserved through original interior features that can be seen throughout the house today. 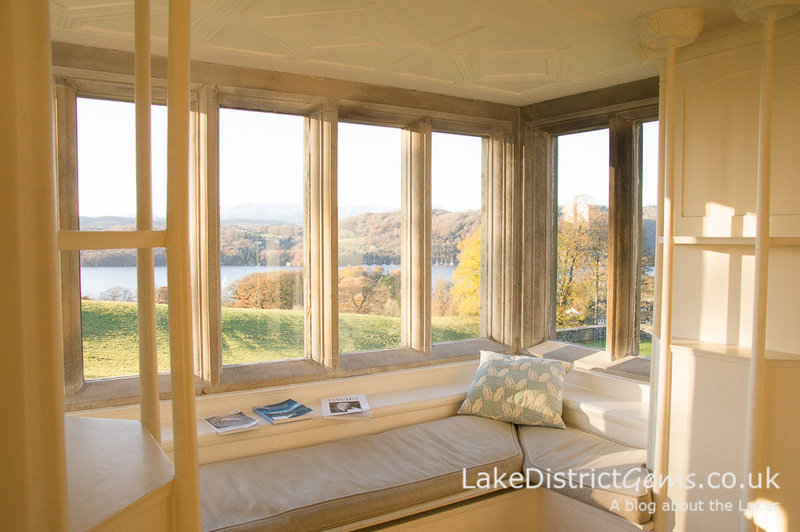 According to Blackwell, one of the champions of the Arts and Crafts movement – a renewed interest in local and handmade crafts sparked by concerns about mass production – was the social reformer John Ruskin, who lived at Brantwood on the eastern shore of Coniston from 1872 onwards. 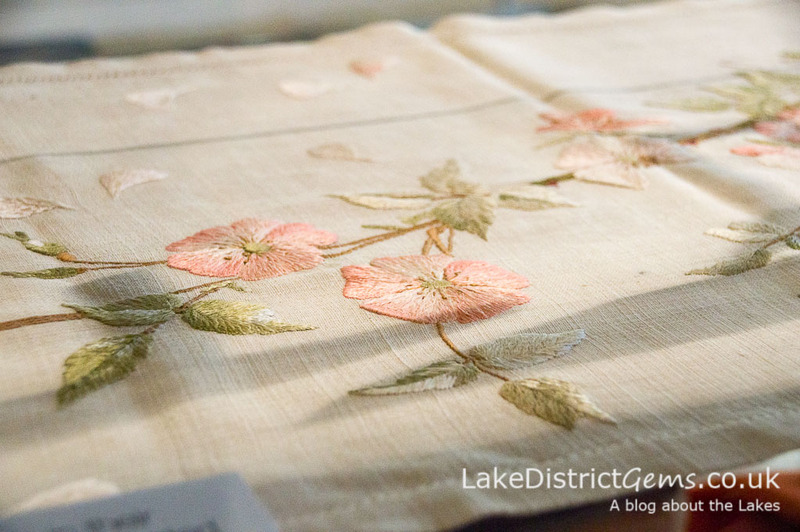 Ruskin’s influence saw a revival of original crafts in the local area and, as a direct result, hand spinning, weaving, embroidery and lace-making made a return to Elterwater. Annie Garnett lived and was brought up in Bowness-on-Windermere at what is now the Fairfield Guest House. 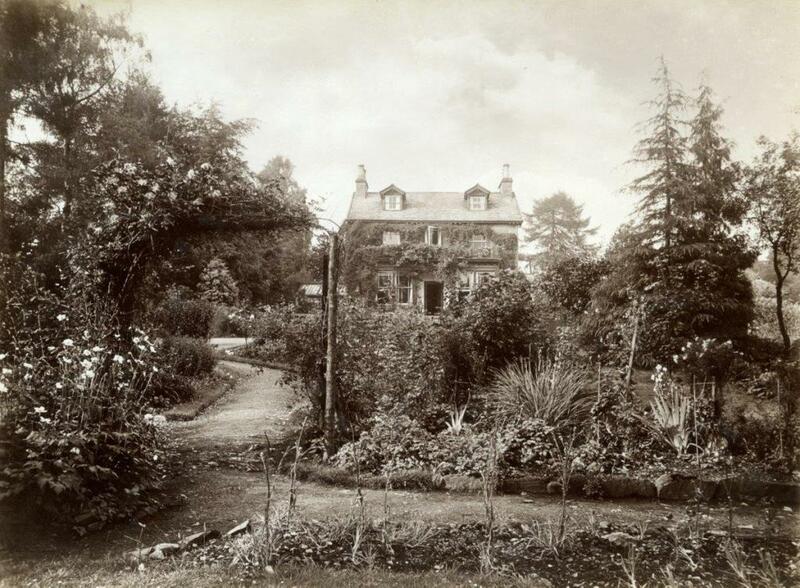 Greatly influenced by Ruskin’s thinking, she visited Elterwater in the 1880s, and by 1891 had established her own enterprise, The Windermere Industry, in an outbuilding at the family home. 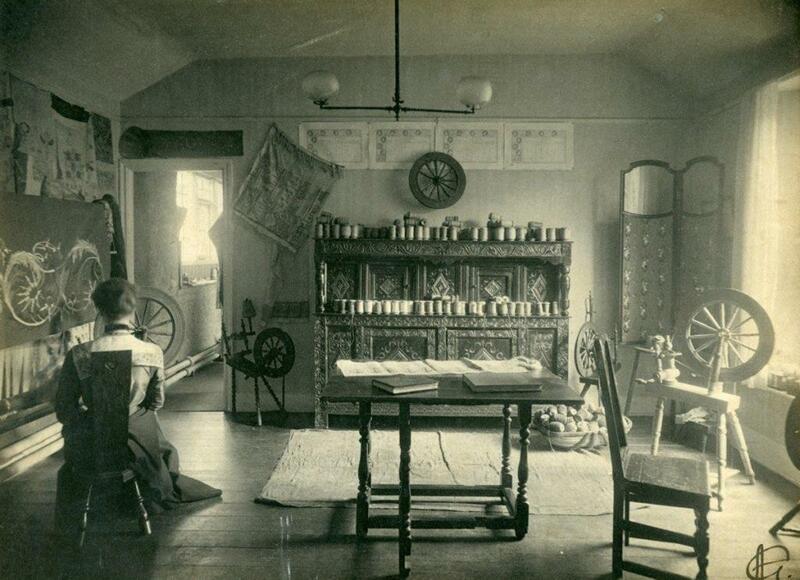 The business (which eventually became The Spinnery) grew, and by 1899, over 90 women worked from home for Annie as spinners and embroiderers, with some women and four male weavers permanently employed at The Spinnery itself. With a precise eye and a huge talent for colour and design, Annie oversaw everything that went on. 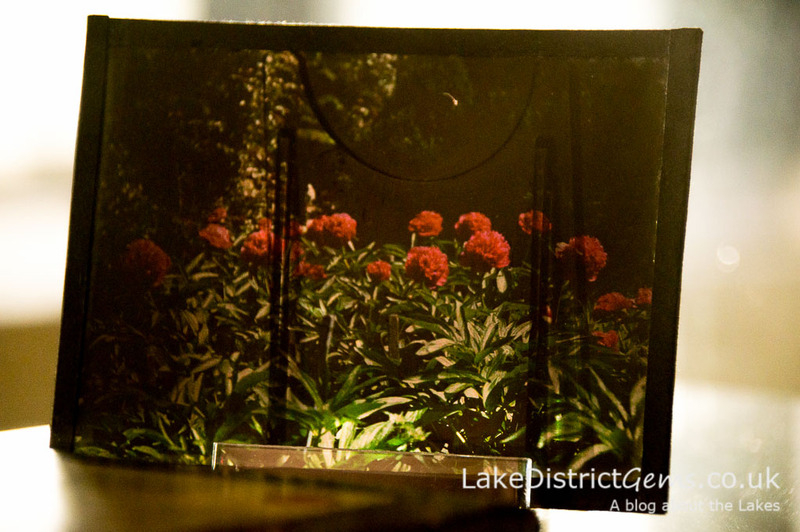 Both the Lake District and gardening were hugely inspirational to Annie. Fairfield had a three-acre garden at this time, and many of Annie’s textile designs were based on colours and flowers that grew there. Despite being self-taught in all aspects of design, textiles and running a business, Annie’s spinnery was a huge success, winning national awards and high profile commissions. 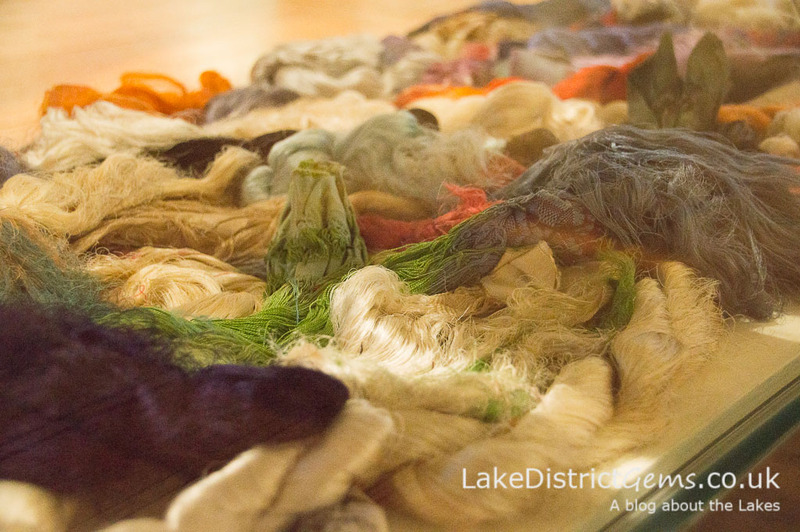 The Old Spinnery at Fairfield wasn’t big enough to accommodate the business, and so the New Spinnery (now The Arts Bar and Grill) was built to display the spinnery’s textiles to the public. Blackwell’s exhibition is a fascinating insight into Annie’s many talents and remarkable achievements. 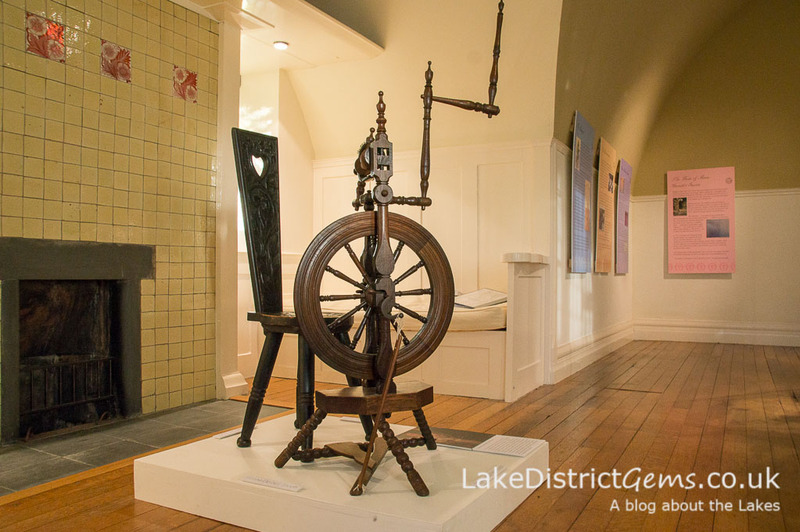 It is made up of a series of interpretation panels and objects belonging to Annie and the spinnery, including some beautifully detailed embroidery and a spinning wheel from Annie’s own collection, and is well worthwhile exploring as part of a visit to the house. The exhibition, ‘Spinning the Colours of Lakeland: Annie Garnett’s Spinnery textiles and garden’ continues until 29 January 2017, as part of admission to Blackwell. You can find out more by visiting Blackwell online. 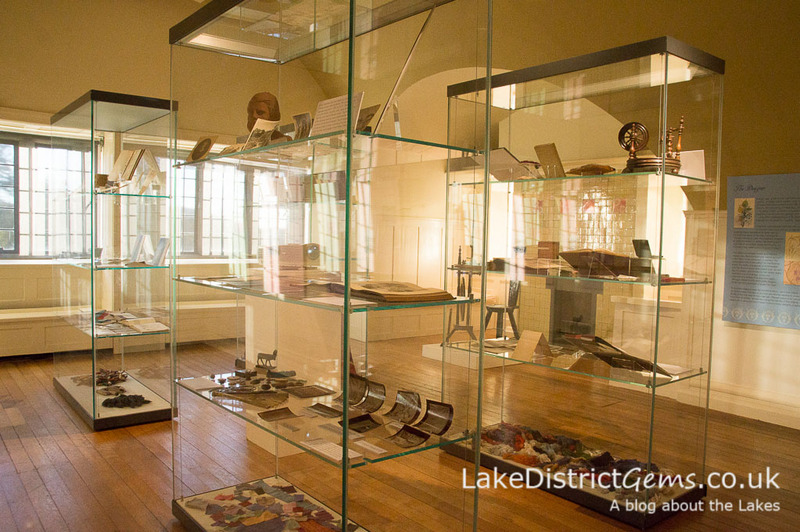 Have you visited Blackwell and, in recent weeks, the Annie Garnett exhibition itself? Let us know by leaving a comment below. Blackwell has several exhibitions throughout the year, so keep an eye on its website for the latest on what’s going on. I have tried to buy a copy of the book about Annie Garnett, A stitch in time: but can’t find it anywhere. Do you know where I can purchase one. Hi Susann, It might be worth asking Blackwell if you haven’t already, as they held the book launch of ‘Spinning the Colours of Lakeland’ and have a small shop. Failing that, Fred’s Ambleside Bookshop seems to have a lot of local titles, so they might be able to help source it. I hope you are successful in finding a copy!